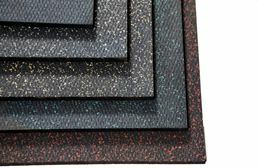 Whether you are looking for a comfortable stall mat for your thoroughbred or a mat for high impact workouts, at RubberFlooringInc we have the perfect mat for you. 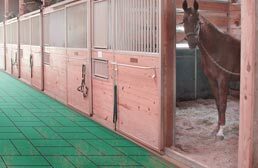 Made with high-quality rubber, our horse stall mats are designed to provide a warm, comfortable floor for horses. 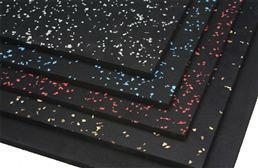 Animal mats are very durable and shock absorbent; which makes these horse mats very desirable for high impact workouts. 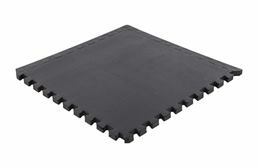 Rubber stall mats are great for horse stables, garage gyms, home gyms and much more. For years, horse stall mats were used as flooring in barns and stables. These mats were popular with the equine community because they gave their horses a comfortable, warm area to lay. But over time, there has been a shift in where these mats are primarily used. As humans, we have become more and more obsessed with our bodies, and these mats have found their way into our homes and gyms. With so much focus on high impact workouts, these mats have become the go-to floor for gym rats around the world. Horse stall mats are still used by the equine community to provide a comfortable place for their horses to walk and lay. 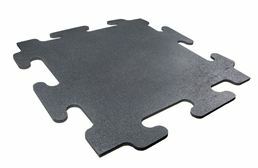 These mats are sold in various sizes and are non-porous. 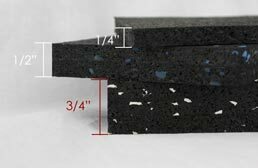 Most of the rubber stall mats we sell are actually several rubber tiles that fit together to create a solid rubber floor mat, making it easier for the consumer to install and replace when a part of the mat gets damaged. These tiles interlock very tightly so that liquids will not penetrate through to the subfloor, which is typically not an issue since most stables and barns are outside. But hey, you never know, if your name was Caligula and you saw your horse as your best friend, you might have them in your house. Maintenance of our rubber mats is very simple, needing only a hose and a shovel to get rid of all that crap. 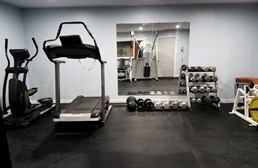 Horse stall mats used for gyms are typically 4’ x 6’ mats of either ½” or ¾” thickness. 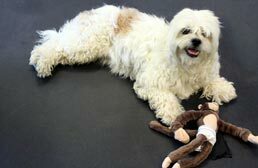 These mats have become very popular over the years because they are inexpensive and readily available. All anyone has to do is go down to their local pet supply store and they will have many on hand. So the real question here is “why would I want a horse stall gym mat?” Let’s weigh out the pros and cons. Horse stall gym mats provide a high level of shock absorbency, which is great for exercise programs like P90X, Plyometrics, T25 and the like. They are cheaper than buying rubber tiles or rolls. 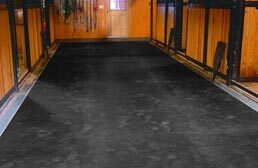 Horse stall gym mats are made for outdoor use and will have a pungent smell. Very similar to rotten eggs. And ain’t nobody got time for that in their home. So it is best that these mats be used in well ventilated spaces. Most stall mats feature an unfinished bottom. This helps to keep the mat in place, but if you are installing a whole floor this can be a nightmare. 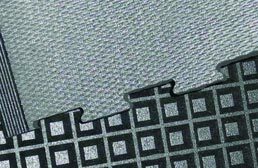 Since the bottom is unfinished, each mat can end up being a different height, which can create tripping hazards throughout your floor. To help alleviate that, we suggest shaving the bottom with a cheese grater or laying the mats in a brick pattern to reduce this effect. 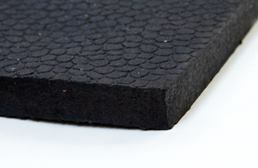 Rubber stall mats are heavy and can be cumbersome to move and store. Outside of your standard horse stall mats, we also offer a range of tile options that gain their inspiration from our range of mats. 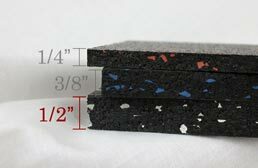 Our Rubber Gym Tile series of mats feature the same non-porous surface found in our Horse Stall Mat kits. 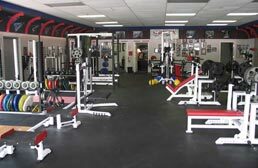 These tiles are geared towards home or commercial gym applications, but can be used as flooring in horse stables as well. 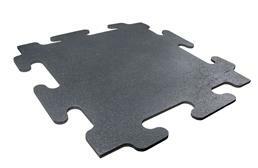 These rubber tiles are interlocking tiles and are very easy to install. 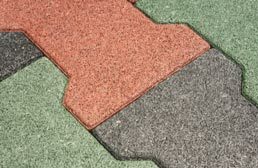 They do interlock very tightly as well and can be made into custom mat sizes with beveled edges. 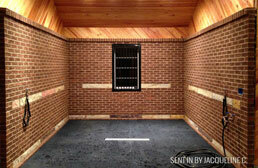 Our Mega and Extreme series of rubber tiles were inspired by our horse stall gym mats. They are actually made from those rubber mats. That means these tiles are either a ½” or ¾” thick and feature an unfinished bottom. These are interlocking tiles and install just like a jigsaw puzzle. They are porous like our rubber mats, and thus are not best suited for horse stables and barns.